This 29 june 2018 video is about a male reed bunting preening, singing and feeding on a damselfly. Jos van den Elshout made this video in Biesbosch national park in the Netherlands. Cars of the Porsche–Volkswagen corporation are dangerous; as their fraudulent software increases exhaust pollution, causing the deaths of bees, of humans and of much other life. Now it turns out that not only Porsche big cars for adults, but also small Porsche cars for kids are dangerous. Even though these toy cars don’t have exhausts. 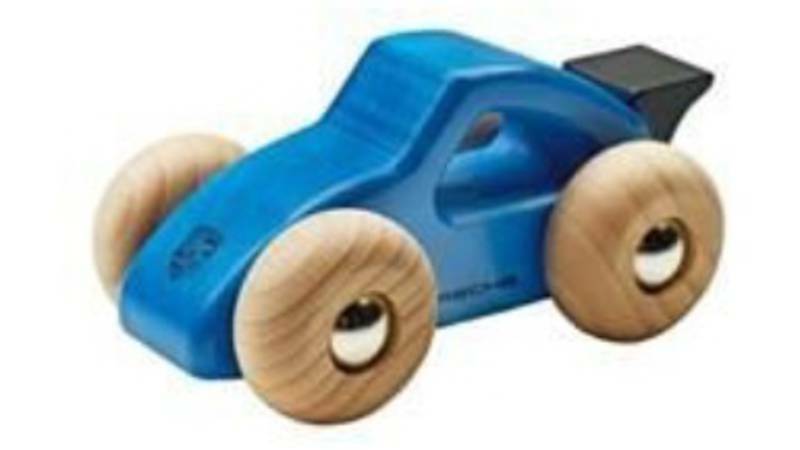 Porsche takes a wooden toy car off the market. Because the wheels and axles can come loose, the car is dangerous for children. If they put those parts in their mouths, they can suffocate. It concerns the blue version with the article number WAP 0400 110G, which has been sold since July 2015. The company advises people to keep the car out of the reach of children. The product can be returned to the Porsche dealer, who reimburses the purchase price. The Dutch Food and Consumer Product Safety Authority has placed the warning on its website. One might sarcastically wonder: have these life-threatening toy cars been tested on baby monkeys and baby humans, like their big car brothers’ toxic fumes were tested on adult monkeys and on adult humans? In their final day of diving, Jonathan and Cameraman Bill had a great experience at “Shark Island” and they recount their adventures in this final VLOG from Oman. March 31, 1492 was one of the saddest days in history. [Spanish rulers] Ferdinand and Isabella signed an edict to remove all the Jews from Spain. This was in direct objection to scripture, as Paul said so well, “Dear friends, my greatest wish and my prayer to God is for the people of Israel to be saved” Romans 10:1. History began to repeat itself again…. A state church was established and the Jewish people as well as all unbelievers in the state church where rounded up and tortured. The top down dictation of religion was enforced. We know as Christians a morality must come from the heart, not from rulers, through force. Not everything done under the name of Christianity is Christian. We need to read his word and love others, not persecute. Change comes from the heart, bottom up, not top down. First, the United States main conservative political conference invited not just President Trump and Vice President Pence, but also invited French neo-fascist Marion Maréchal-Le Pen. Then, there was the British ‘mainstream’ Conservative Spectator weekly, praising Adolf Hitler’s World War II Wehrmacht. Now, there is the ‘mainstream’ United States National Review. With a history of whitewashing anti-Semitism and racist segregation. And support for wars. Like George W Bush’s Iraq war, which they defended vehemently against, eg, Dear Kitty. 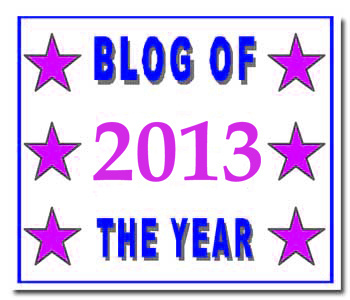 Some Blog. The prominent conservative magazine National Review published an op-ed defending the Spanish Inquisition, lamenting that most opinions of it were formed by Elizabethan propaganda. Ed Condon, a writer and practicing canon lawyer, argued that northern European kingdoms worked to “paint the Spanish Empire as constitutionally evil; not just a political, religious, and military rival but an existential threat to all that was good in the world.” The Spanish Inquisition, which he wrote became “byword for oppression and abuse dressed up as law”, became the lead example. The inquisition led to the conversion or expulsion of Spain’s Jews upon penalty of death, an event that is commemorated on Tisha B’Av, the saddest day in the Jewish calendar. Those who converted were subjected to enhanced investigation by the inquisition, and “lived in fear of denunciation as ‘secret Jews’ and could have their property seized and their lives ruined”, Condon admitted. But he added [that] the jails of the Inquisition were known to be hygienic and well maintained and not run as places of punishment. He acknowledged the inquisition’s use of torture, but said it is often placed out of context. Though Roman Catholic religious rightists may agree with Condon, Protestant religious rightists, with their tradition of seeing the pope as the Antichrist, will not. The documentary explains the origins and aims of the Spanish Inquisition in the XV century, specially its persecution of “Conversos” or “Marranos” (cristianized Jews). Dutch far-right Catholic author Robert Lemm also defends the Spanish Inquisition, Spanish 16th century King Philip II against whom the Low Countries revolted, and twentieth century Spanish dictator Franco. Thia video is about woodland birds feeding in Sweden: great spotted woodpecker, jay, etc. Authorities trial new surveillance cameras with facial recognition technology at a train station in Berlin. Supporters say the new system is needed to prevent future terrorist attacks. But not everyone agrees. According to the BBC, police face recognition software misidentified over 2,000 people at a football match in Britain as ‘criminals’. It looks like that British police software is as ‘reliable’ as the fraudulent software of Volkswagen and other car corporations mismeasuring exhaust pollution. And as dangerous to human rights as the ‘Palantir’ Big Brother software of United States Donald Trump-loving and women’s suffrage-hating billionaire Peter Thiel. Millions of people face the prospect of being scanned by police facial recognition technology that has sparked human rights concerns. The controversial software, which officers use to identify suspects, has been found to be “staggeringly inaccurate”, while campaigners have branded its use a violation of privacy. But Britain’s largest police force is set to expand a trial across six locations in London over the coming months. Police leaders claimed officers make the decision to act on potential matches with police records and images that do not spark an alert are immediately deleted. But last month The Independent revealed the Metropolitan Police’s software was returning “false positives” – images of people who were not on a police database – in 98 per cent of alerts. The technology, which has previously been used at Notting Hill Carnival and Remembrance Sunday services, was used on thousands of shoppers in Stratford, east London. Scotland Yard said the Stratford operation would be “overt” and that members of the public passing the cameras would be handed leaflets, but The Independent did not observe any information being proactively given out. The majority of those passing through a line of police officers straddling a bridge appeared not to see posters saying facial recognition technology was being used through the throngs of shoppers. Hannah Couchman, an advocacy and policy officer at Liberty who monitored the trial in Stratford, described the technology as “lawless”. “There’s no dedicated legislation, there’s no guidance, there’s no good practice,” she said. “It’s staggeringly inaccurate and this sort of technology has been shown in America has shown to be actively biased and misidentify women and black people. Liberty has threatened legal action against South Wales Police over its facial recognition programme, while campaign group Big Brother Watch is attempting a case against the Met. The latest trial came as the government announced the creation of a new oversight and advisory board for facial recognition in law enforcement, which could be expanded to ports, airports, custody suites and police mobile devices. The Home Office’s strategy on biometrics, which also include fingerprints and DNA, said the board would make recommendations on policy changes and oversight arrangements for technology that is currently being purchased ad hoc by police forces. Meaning that if a computer says that your face looks vaguely like someone suspected of terrorism, you may be shot dead as a ‘terrorist‘ without trial. Look at what happened to innocent Brazilian Jean Charles de Menezes in London. Wednesday, July 25, 2018. Big Brother Watch launches fight against ‘Orwellian’ facial recognition: here. All that hard work eventually bore fruit. In September 2016, the Giant Panda was taken off the endangered species list; a significant achievement for the conservationists who have spent over half a century saving the black and white wonder. It also offers hope to all animal specialists who are working hard to conserve other critically endangered animals. However, pandas are not completely out of the woods yet; they still have to be able to breed in the woods without being killed by poachers or losing their food to deforestation. According to the new findings, the panda’s protection as an umbrella species yields 10 to 27 times as much value as it costs to maintain the current reserves. In fact, the findings suggest it might be worth expanding those panda reserves and other investments in natural capital in China. Between 1990 and 2010 China’s National Conservation Project for the Giant Panda and Its Habitat (NCPGPH) doubled panda habitat. By 2010, a total of 67 panda reserves with an area of more than 33,000 km2 had been established, covering more than half of suitable panda habitat. Scientists report results of a large-scale study examining giant panda habitat use trends and changing threats to their survival. This benchmark study is based on nearly 70,000 person-hours of survey work by China’s State Forestry Administration throughout the panda’s range in Sichuan, covering three-quarters of the entire species range: here.